At Orange County Plumbing Heating & Air Conditioning our goal is to constantly meet your expectations of quality, performance, and cost-efficiency of services provided. We have been involved in the plumbing, heating, and air conditioning contracting business for over 50 years, earning our customers’ confidence, trust and loyalty. Our dedication to customer satisfaction is at the heart of every plumbing project we carry out. Orange County Plumbing Heating & Air Conditioning has become a famous and respected name in the residential and commercial market of Tustin. We offer plumbing, heating and AC services for new construction projects as well as providing for the plumbing and HVAC needs of existing homes or businesses. 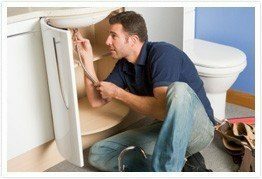 Our Tustin specialists offer competitive pricing and accurate bids on plumbing jobs that we perform. Orange County Plumbing Heating & Air Conditioning is truly a single source contractor that can troubleshoot all your plumbing, heating and AC needs. One source for plumbing, heating and AC plumbing needs. Prospered in the market since 1958 aiming at troubleshooting plumbing and HVAC problems, bringing solutions, and carrying out service installations and repairs. Providing professional employees, including master plumbers, heating technicians, and certified HVAC specialists. Receive $20 off any service in the city of Tustin!